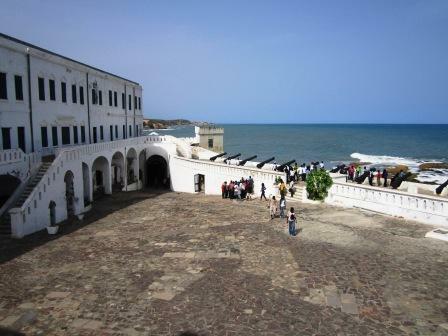 Cape Coast has been recurring theme in my personal life over the last few weeks. 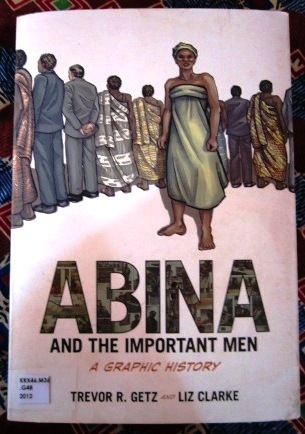 And then at work we received a couple of copies of Abina and the important men, by Trevor Getz and Liz Clarke, which I had seen reviewed sometime last year, and was discussed on various academic lists which I follow. I found the mixture of graphic non-fiction, plus a court transcript, and historical analysis fascinating. And there is a website for it as well http://www.abina.org . Definitely worth reading, in my opinion, for its depiction of Gold Coast coastal society in the late 19th century. So I guess it was sort of inevitable that I should buy one of Albert von Dantzig’s books on the Forts and castles of Ghana on a recent visit to the University of Ghana Bookshop.